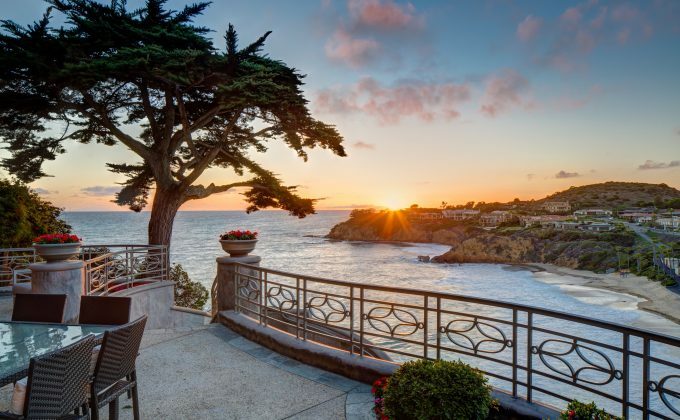 This Emerald Bay oceanfront residence features panoramic views of the ocean, sunsets and crashing whitewater below from its cliff-top setting. 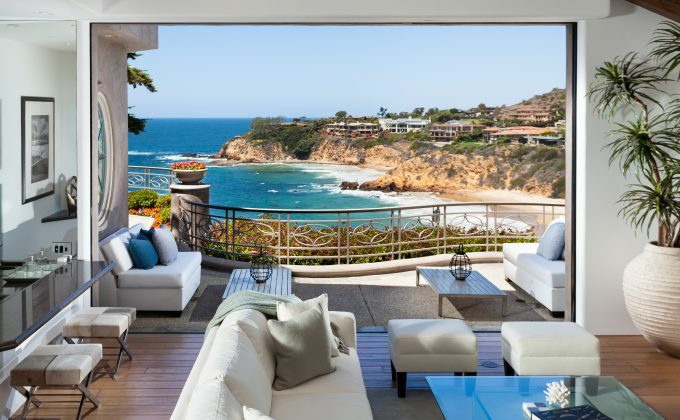 Occupying one of the largest parcels in Emerald Bay with nearly 100 feet of ocean frontage, the five-bedroom, five-bathroom home is positioned to capture sprawling views from every major room. The unique topography of the lot gently descends toward the water’s edge, with spacious terraces and gardens, as well as a private spa overlooking the cove. Through a private gate, the waters of the cove below are easily accessed. The home is a blend of contemporary design and dramatic volume (near to 20 feet in some locations) and walls of glass opening to the vistas. Honed limestone, bleached woods and crisp white walls combine to make rooms that feature expanses of glass framing the azure waters. Approximately 7,100 square feet of living area is designed for comfortable living, to maximize views, and proves an inviting plan for entertaining as well.